Spanish Club Activities–Plan the BEST YEAR EVER! Congratulations! You were just elected an officer of your school’s Spanish Club. You’re excited because there are A TON of things you can do this year, but you have one question: WHERE DO I START?!? Don’t worry because we’ve got you covered! If you and your fellow officers follow these 5 simple steps, you can have the BEST SPANISH CLUB YEAR EVER! A good mission statement tells why your club exists–it’s your club’s purpose. It gives your club direction. You should review the club mission before you start planning to ensure you plan activities that address each element of your mission. Fortunately, a well-designed mission statement can serve a club for decades, so it’s unlikely that you’ll need to revise yours. However, if your club’s mission no longer speaks to the club’s true purpose, you may consider updating it. The goal of the mission statement is to reflect only the most important ideals of YOUR club. Don’t feel obligated to add all the elements above. Likewise, if there is some other high-level purpose that your club strives to achieve, you should certainly add it. Once you and your fellow officers have reviewed your club’s mission statement, you’re ready to start planning. In this step, you’ll decide what activities and events to have, and you’ll establish your calendar for the year. If you’re looking for activity ideas for your Spanish club, check out our lengthy list here. When planning your events, remember that fewer is often better thaa more. 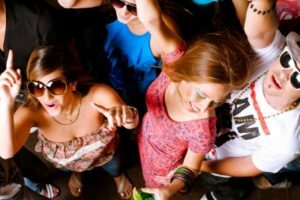 You and your fellow club members have school to deal with as well as other clubs and commitments, all of which limit the amount of time available. Plus, planning and executing these activities and events takes time. Therefore, a few well-planned events can be far more impactful than a lot of poorly executed ones. What if you could have more events with better attendance and less work? You can! One of the best ways to improve attendance at special club events is to cross-promote them with Spanish Clubs from other schools in your area. For example, two clubs could jointly sponsor by sharing the planning and execution of it. Or, you could invite members of both clubs to two events, but have each event planned and sponsored by one of the clubs. If this sounds interesting to you, speak to your club sponsor(s) because they probably know the appropriate contacts at the other local schools. 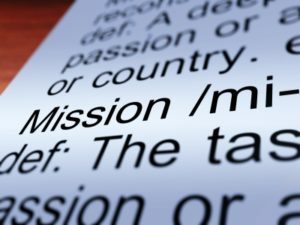 Finally, before publishing the calendar for the year, go back and review the mission statement again to make sure that your planned activities adequately reflect and support the different elements of your mission. OK, we admit it…this step is boring, but it’s necessary. If you search online for Spanish Language Clubs, you’ll likely find officer lists from 2011! It’s sad but true that club information often updated once and never again. DON’T BE THAT CLUB! You should make sure that your club information is online and up-to-date. Doing so maximizes the ability for your club to be a valuable resource for its members. Details of how to join the club – Where to go join, for example, at a specific club meeting, in their Spanish classroom, etc. If you need help developing a good info page, please see our Spanish Language Club Info & Resources Template. Back in Step 2, you planned your club’s activities for the year. Now, it’s time to execute that plan! 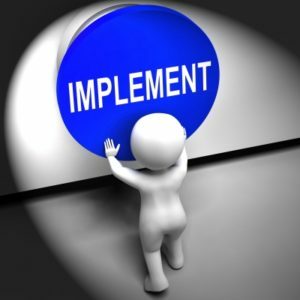 The main objective of this step is to make sure that each activity or event is well-planned and well-executed. This means having regular officers’ meetings and continually reviewing the year’s calendar. Some activities will require minimal planning and coordination while others may take months of detailed pre-work. You and your fellow officers are responsible for making sure the appropriate planning is happening at the appropriate time. In many clubs, each officer spearheads a different initiative or activity. While this can certainly work (and may be the only option for clubs with low member engagement), it’s not optimal. Optimally, the bulk of the detailed planning and execution of individual initiatives should be passed to other active club members. Officers should remain engaged to help direct the progress, to make sure planning remains on track, to answer questions, and to help resolve any issues. Officers can certainly jump in as needed, but officers should mainly provide “extra hands” to others who are the primary drivers. You can deliver a year of excellent activities and events, but if no one knows about them, it’s a waste. That’s why it’s critical that you over-communicate information about your club. In addition to the Club Info & Resources page discussed in Step 3, you should find every possible avenue to promote your club and its activities. Make sure all club members are aware of the resources the club provides as well as upcoming activities and events. Be sure to mention these at each club meeting. Send periodic emails mentioning of upcoming events. Include a standard signature at the bottom of these emails that provide reminders and links to resources. You may want to consider what platform is best to host your clubs information and resources. The general rule here is to try to be on the same platform that your members already use. At many schools, this means a school-sponsored platform that is already a frequent destination for students. If your school has a platform like this, see if it can be used to message your club members or to highlight announcements from your club to its members. If your school doesn’t use a platform like this, you may decide to places your information on an externally accessible site such as Facebook, but you should first check with your sponsor(s) to make sure this is acceptable. 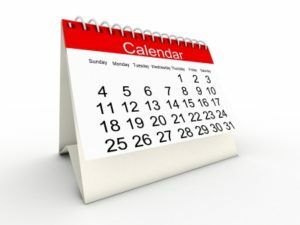 Make sure your club’s activities are included in both printed and online school calendars. If your school has daily announcements, have your club’s events included. Make posters (handmade or printed) to advertise special events and place in well-trafficked areas of the school. Your school’s Spanish classes should be a major part of your communications. Place information in the form of flyers or a poster detailing information about your club such as the mission, membership criteria, resources and events, and how to join. Also, place dedicated posters for upcoming special events similar to the ones mentioned above. Ideally, you want a club liaison in each Spanish class. A liaison is a member of your Spanish club that agrees to make regular announcements, typically weekly, to his or her Spanish class. These announcements should include upcoming club activities and events. It’s also a good time to remind students of the different resources the club offers. For the best results, the club officer in charge of communications should provide specific talking points to the club liaisons weekly, and should follow up to make sure the announcements are being made. If you can’t get a liaison for a particular class, you should ask the teacher to make those announcements. Outside your school, the communications focus will mainly be on special events that are open to the public. 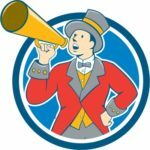 Try to get these events listed on community calendars. Also, see if you can get them mentioned, or even covered, by local media. As discussed in Step 2, cross-promote appropriate events with other Spanish clubs in your area. It’s great that you’re an officer of school’s Spanish club. The fact that you’re reading this article means you really want to make your club the best it can be. Fortunately, making a great club isn’t that hard. All you need to do is make sure you have a meaningful mission, plan activities that match that mission, and execute that plan. By following our five steps, your club can have the BEST YEAR EVER!